Pellegrino Artusi's "The Science of Cooking and the Art of Fine Dining" has been a staple in the Italian kitchen since the 1800s. The Art-Artusi project has taken on the great challenge of bringing the legendary name back into kitchens around the world and to create a representation of Italy as a country that stands for innovation and technology to better the food industry. During the week of Italian Cuisine in the World, Casa Italiana Zerilli Marimò hosted the launch of Art-Artusi, a project that premieres a groundbreaking “hackathon” that creates a strong basis for sustainable growth, health, food research, and cultural expansion in the Italian food industry. A hackathon is an event where people convene to digitize a similar idea through collaborative computer programming. This project specifically targets making an inspiring message accessible to the world. Pellegrino Artusi, an Emilia-Romagna native, is the inspiration for the project. 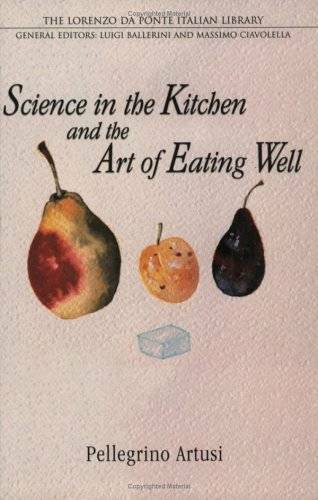 His cookbook “The Science of Cooking and the Art of Fine Dining” has established his legacy dating back to the 1800s, granting him recognition in virtually every Italian kitchen for generations. The hackethon project is geared towards the revitalization of his cook book and to focus on signature Italian dishes and the healthy Italian lifestyle. To create a hackethon based on such a historic and revolutionary culinary expert is not a simple task. Representing the team at Casa Italiana was Director of Casa Italiana Stefano Albertini; President of Emilia-Romagna Stefano Bonaccini; Gianni Riotta, an Italian journalist for La Stampa and former Editor-in-Chief of Il Sole 24 Ore; Simona Caselli, Councilor for Agriculture of Emilia-Romagna; and Andrea Segre, head of the Scientific Committee of Casa Artusi. Together they explained that this is not just a digitization of a cookbook, but rather a representation of Italian culture. 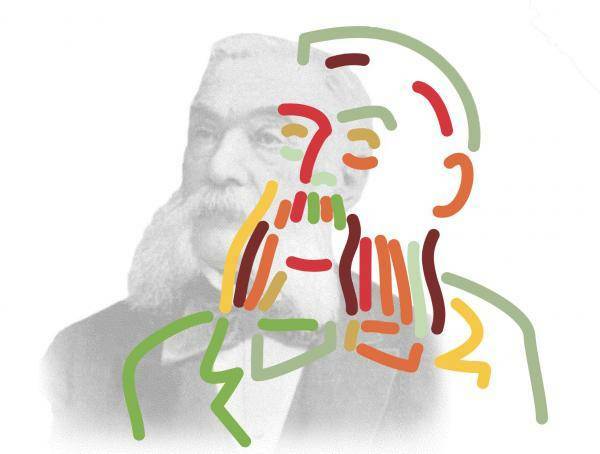 It connects international viewers to the man who solidified the foundation of Italian gastronomy almost 200 years ago. It focuses on the food produced by our grandparents, passed down kitchen to kitchen, generation to generation. It goes beyond the recipes and the hands that prepared it to the production of the food and the quality of what we put into our bodies. This hackathon vouches for openness in living prospects everywhere and the quality and efficiency of the food we eat everyday. Simona Casella provided a helpful metaphor to understand the hackathon and the significance in their undertaking. She compared it to the process of making the perfect Parmesan cheese, which dates back to the work of the monks in the thirteenth century. By using the same milk with new technology, we can create an exact replica in quality and taste without the historic process. Recreating and digitizing the renowned cookbook builds a foundation of the perfect combination in which we can discover, or rediscover, and bring forth ideal communication of Italian cuisine and culture. In this way there is an important message: technology doesn’t divide, it unifies. It connects the past to the present and constructs a network from one country to the next. Art-Artusi is a promotion for technology in the food industry. Without innovation, staple kitchen ingredients, such as dried pasta and tomato preserves, would have never been brought from Italy to the rest of the world. The same can be said for transportation and its effect on international food trade. This project stands for innovation and technology in the sense of how creativity and limitless ideas can form solutions in the food industry around the globe. “The essence of our agriculture is to guarantee freshness and safety from the soil to the table,” Casella states as she admits that the food industry is very different in the United States. Her invocation to bring this project to NYC was rooted in one very important commonality: Emilia-Romagna and New York City are both centers for economy and production in their respected countries. Parma, the UNESCO gastronomical center of the world, and Bologna, the culinary capital of Italy, are the backbone of the Italian economy and centers of the Emilia-Romagna region. Consul General of Italy, Francesco Genuardi, endorsed the Emilia-Romagna project stating that he truly appreciates what they are doing for NYC and for the rest of the world. He feels that this will help people understand Italian culinary culture and Artusi as an appropriate symbol for Italian cuisine. Over Skype, Riotta explains how extraordinary and particular Italian culture can be, how every region, city, neighborhood, and home has their own version of “Italian cooking.” Artusi is the band that ties everything and everyone together, it shares his culture to the world through the true definition of traditional Italian recipes and techniques. Stefano Bonaccini, the Emilia-Romagna Governor, says that food is an art and like anything it should be studied and perfected. Just like fashion, it is a culture and business that is extremely important to the world and to Italy. This project creates a powerful message for food sustainability and Italian pride that must begin in Italy before being spread to other countries. Artusi has been at the heart (and in the stomachs) of home cooking in Italy and around the world. 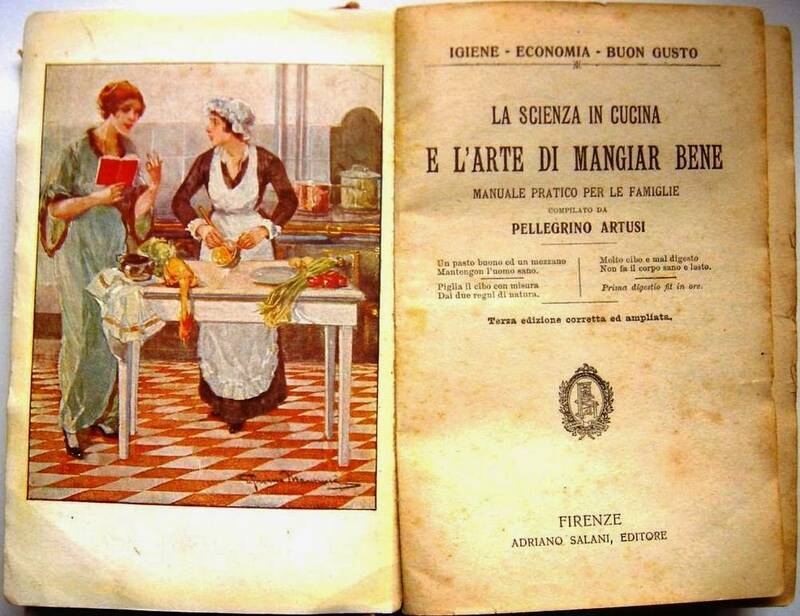 Italians have memories of their mothers and grandmothers referring to the Artusi cookbook as if it contained the same holy information like the Bible itself. The most powerful message can be made in one simple phrase--in the way food brings people together and allows for simple communication and growth, food is a message for peace.